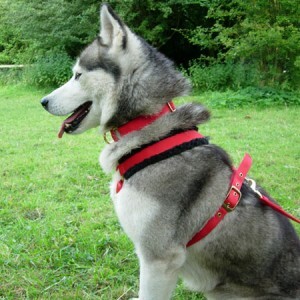 Our tracking harness is designed as a dog walking harness, especially for dogs that pull hard naturally, but equally safe and comfortable for gentler walks. 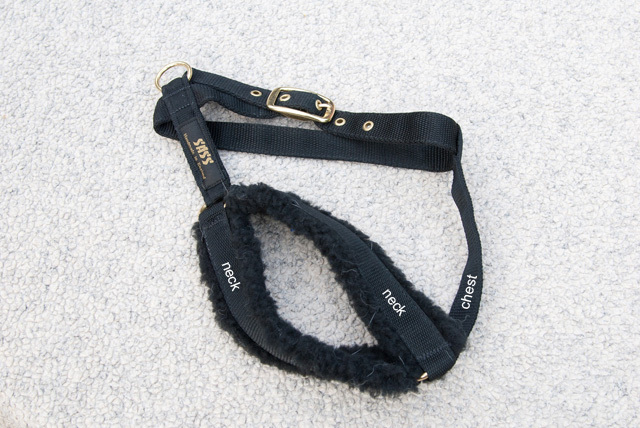 Using a walking / tracking harness relieves pressure on the dogs throat and airways making the whole experience much more comfortable and pleasurable for dog and handler. 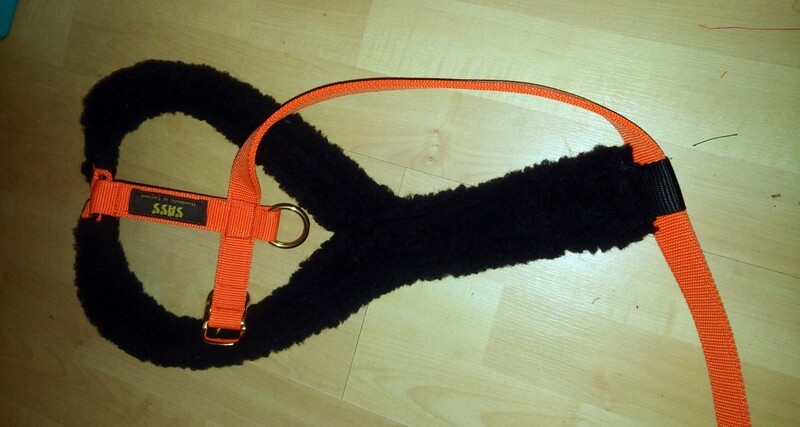 It can also be used for cani-cross ( caniX ) and bike / scooter joring. 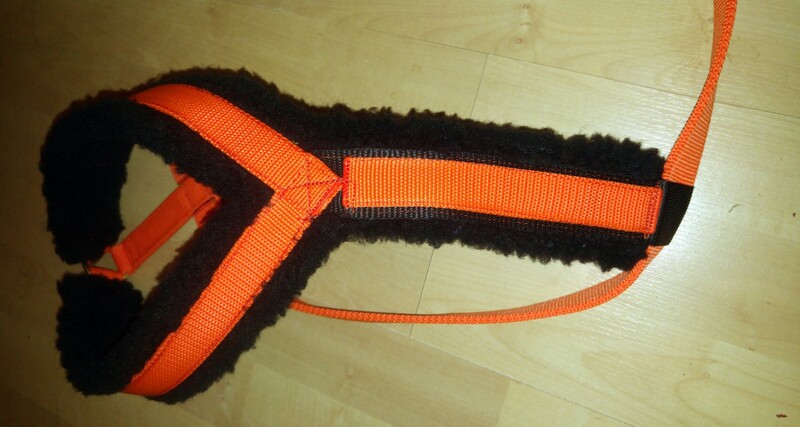 Indeed any activity where the dog is attached from a high point ( running belt, bike/scooter handlebar stem ), and therefore the lead / leash needs to be attached at the withers rather than the back end. 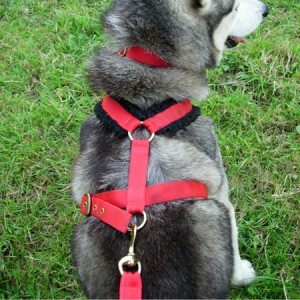 The lead attaches to a ring on the back of the harness instead of the collar and thus takes the pressure off the throat and neck. Phone * In case we need to discuss . Dimension 1 * from withers , along shoulder to breastbone. ONE SIDE ONLY. 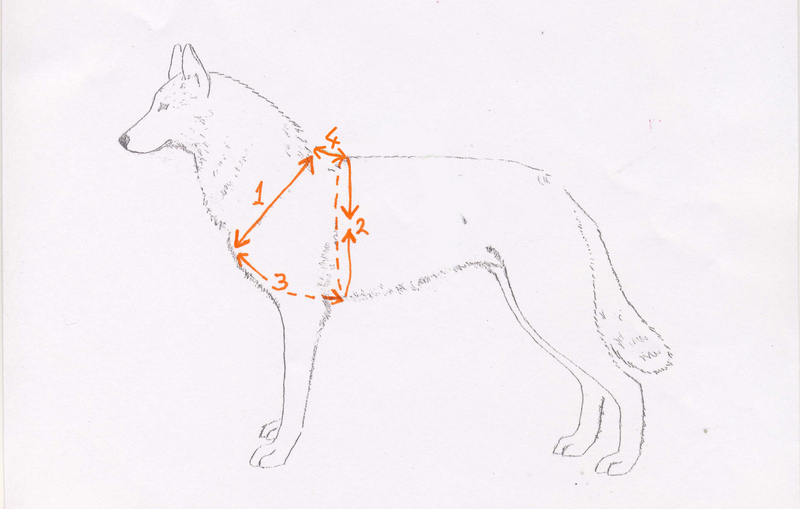 Measure tight into the fur for all dimensions. We make the allowance for correct fit. 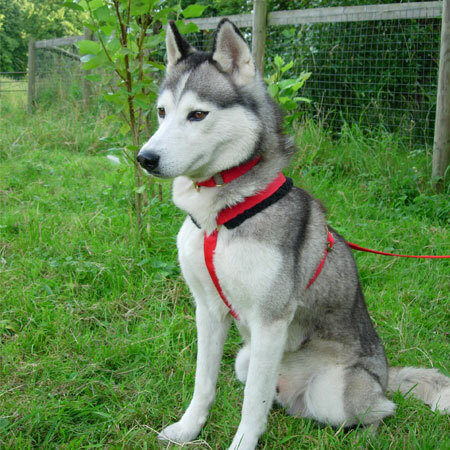 Padding Options : We are often asked if we can pad the whole harness. Well.. we don’t pad the top link as there is no benefit whatsoever and we don’t pad the girth strap because it wouldn’t buckle up or slide through the loops properly. STEP TWO : Choose from the options below and ADD to shopping cart. 1 ) No padding at all : 2) Neck padding ( as shown ), 3) Neck plus chest padding. The chest plate in the image is not padded. We now have an ‘all in one’ fully padded neck and chest with broader chest plate.